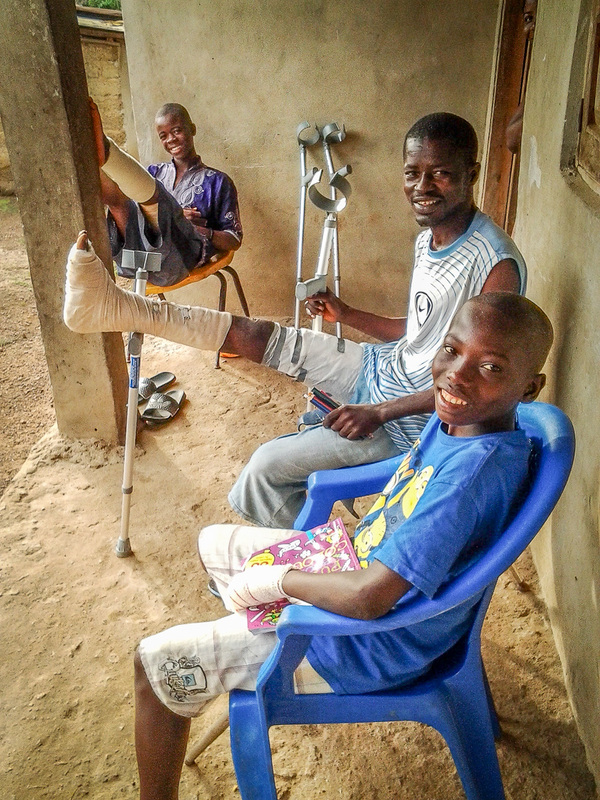 Three patients are recovering at our guest house in Sierra Leone. They were treated by a visiting surgical team from the British Society for Surgery of the Hand, with the help of Africa Surgery funding . The two young men are keeping their legs elevated to prevent swelling after having had skin grafts. These were needed to ensure healing of massive sores caused by infections from 14-15 months ago. The boy had a bone tumor in his finger removed and will again be able to use his hand almost normally.